The signs of low sugar diabetes can be dizziness, blurred vision, headache, or difficulty concentrating. Because the brain depends on blood sugar for energy, if your blood sugar is too low, the brain releases hormone to increase it, which can cause sweating, shaking, anxiety and nervousness. Low blood-sugar diabetes is called hypoglycemia, and for people with diabetes, it is often the result of too much insulin. FastMed Urgent Care clinics are a local and convenient way to help manage chronic conditions like low sugar diabetes. We’re open 365 days per year and have labs on site to do blood glucose level testing. Understanding the signs of low sugar diabetes is important. It’s recommended that you communicate these with your family or friends to help them understand what to expect if your blood sugar drops too low. Be mindful of your alcohol consumption. Talk to your FastMed medical team about using alcohol. Carry a source of sugar – hard candy, a small box of raisins – to bring your blood sugar back up. 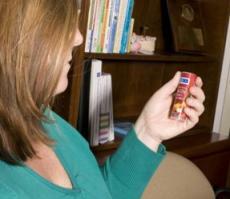 Talk to your FastMed Urgent Care team about a glucagon injection kit in case of emergency. Stay active – walk more, park further back at malls and supermarkets. Every little bit helps. Monitor your blood sugar and keep a record of your levels to discuss with the team at Fastmed. Helping you manage your health is our priority at FastMed. If at any point you need advanced testing or a referral to a specialist, we will set up your appointments and forward your electronic health records.